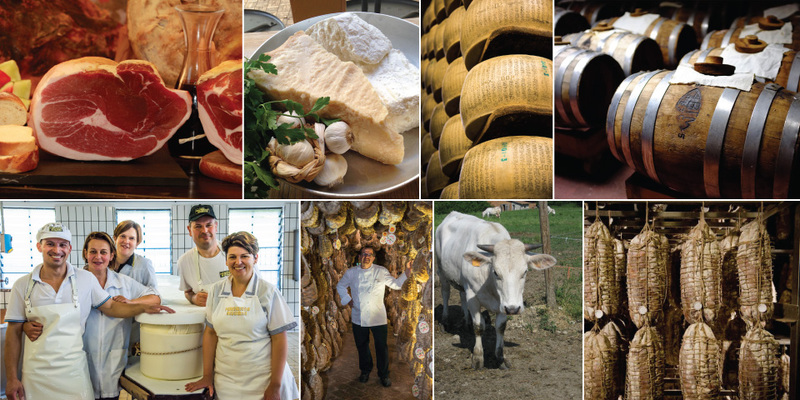 Here at Yummy Italy, we spend a lot of time with the local artisan food producers, chefs, wine makers and regional food experts. As a result, we believe that being there while they are producing, cooking, exploring and experimenting is the best way to understand their philosophy and how they interpret their products. In this way, we can seek out the finest traditional artisan products, the most unique wines, the most traditional as well as the most innovative chefs. We belong to various national food and wine associations, from Slow Food Italy to FISAR (The Italian Federation of Sommeliers for the Hotel and Catering Industry), as well as several private groups of food and wine experts. By being in constant contact with other professionals whose passion is their driving force, we have an inside view of the latest food trends and activities in the region. We do not work with industrial producers, nor with most of the restaurants listed in the guide books dedicated to mass tourism, but rather with a vineyard that has only a few hectares of vines, a Parmigiano Producer that makes only 10 wheels of cheese per day, a Charcuterie producer that matures his product for up to 6 years as well as award-winning and small family-run restaurants. We prefer producers who have adopted a Slow Food policy in addition to those who believe in natural, organic (where possible) and sustainable production methods. 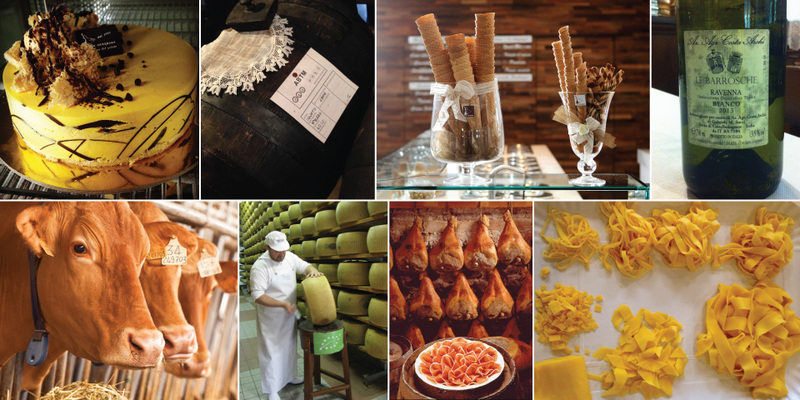 Emilia Romagna is considered the world’s gastronomic capital, with 42 (and counting) PDO and PGI products. Our mission is to continuously explore and deepen our understanding of these products and how they are used - both traditionally and in a modern, innovative context. We work with those producers who supply the best chefs and restaurants… and those chefs who use the finest products from niche producers. We also have an in-depth knowledge of the wines of the region – from the autocththonous (Lambrusco, Pignoletto, Albana, Fortana, Centesimino, Negretto, etc.) to the local interpretations of international grape-types (Merlot, Cabernet Sauvignon Chardonnay, Sauvignon Blanc, Pinot Noir, etc.). We have built personal relationships with many of the wine producers with a view to gaining a true insight into each winery’s own singular wine-making approach and philosophy, thereby enabling us to share with you the not only the finest wines of the region, but also to create unique wine experiences. We have been officially appointed as translator and interpreter for Enologica, Emilia Romagna's most prestigious wine exhibition. Yummy Italy offers unique discovery experiences and courses for chefs, food consultants, food buyers food professionals, food writers, bloggers and journalists, tailoring all solutions to individual needs. We also guarantee complete anonymity where requested – never divulging your name or any photographs of you and the activities you undertake for any communication media, unless agreed in advance. We have set out several case studies of food professionals (most named, but a couple who wish to retain their confidentiality) with an outline of their profession, what they wanted to achieve during their time here in Emilia Romagna and what we organised for them. One of the world’s top 20 Travel Blogs www.withhusbandintow.com says: “Yummy Italy’s experiences are not the type where, as a tourist, you can roll up in your rental car or book online from the myriad of cookie-cutter experiences. They are unique and do not come around very often. Helena, owner of Yummy Italy, is a facilitator of experiences. She sends you out on unique excursions and activities. And if you want to travel like Anthony Bourdain, she is your ‘fixer’”. Great British Chefs magazine www.greatbritishchefs.com said about us: “Helena at Yummy Italy gave us access to some incredible producers we would never have been able to source via mainstream channels. Her expert knowledge of the forty-plus PDO and IGP products in Emilia Romagna, the local dishes and the wines of the region are second to none and her contact list is invaluable”.